After weeks of planning and rescheduling, SheShe and I finally got together for brunch. She was really wanting to try chicken and waffles, which seem to have seen a rise in popularity as of late. I of course was not one to object… I mean it’s fried chicken come on! 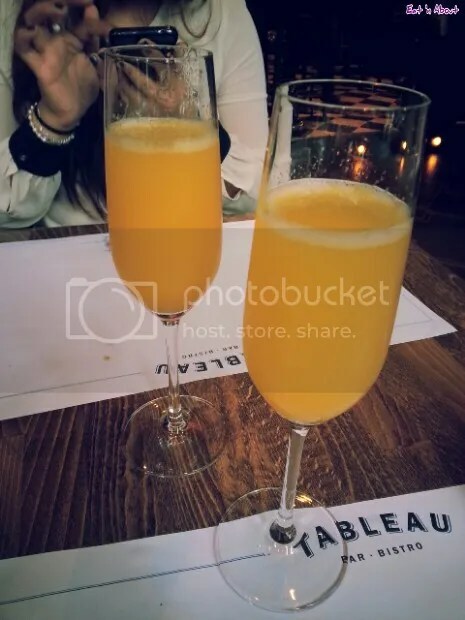 So we looked into the best in the city and decided on visiting Tableau Bar Bistro. They were also one of the few that actually take reservations for brunch! What’s brunch without Mimosas ($10)? We ordered some to start. It’s your usual fare. 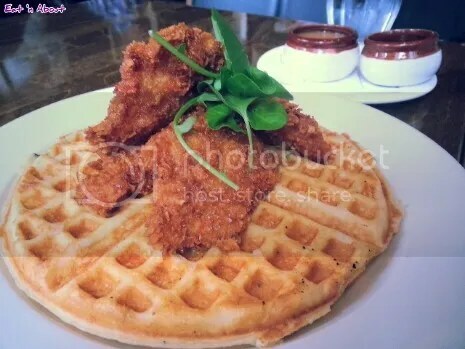 The Chicken and Waffles ($15) were served with maple syrup. I would’ve like the waffles to be thicker, perhaps the Belgian type. The chicken was very nicely battered and crisp and juicy. However as good as fried chicken was, I didn’t get the big WOW from this dish. I think I was disappointed by the thinness of the waffles. 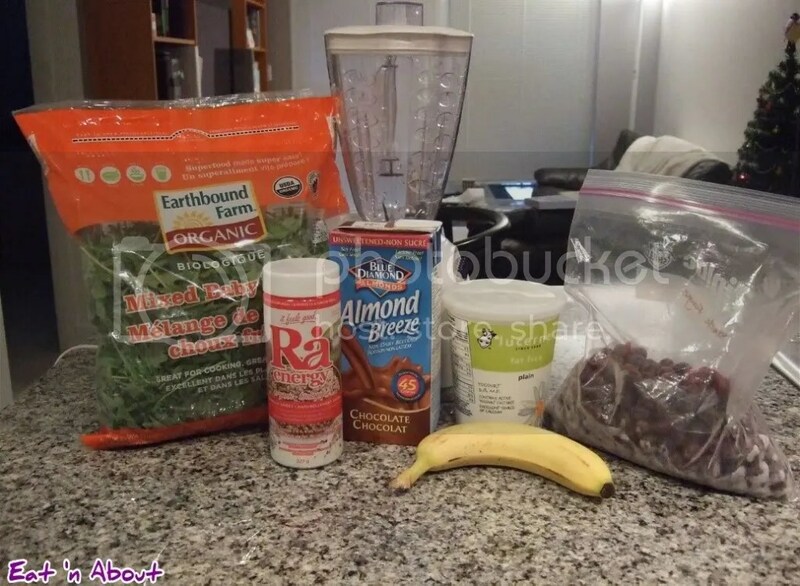 I’m a firm believer in the old adage that breakfast is the most important meal of the day, and I’d like to share my recipe for a healthy, added-sugar-free breakfast smoothie. This quick and delicious smoothie recipe makes enough for one tall glass, but can easily be doubled for two people. I like to have it along with a classic big breakfast of eggs, toast, and hash browns but it may be filling enough on its own for some folks. For Cat’s 30th birthday, she originally wanted to have a celebratory dinner. However one of us had plans the evening of, so it got changed to a brunch instead. 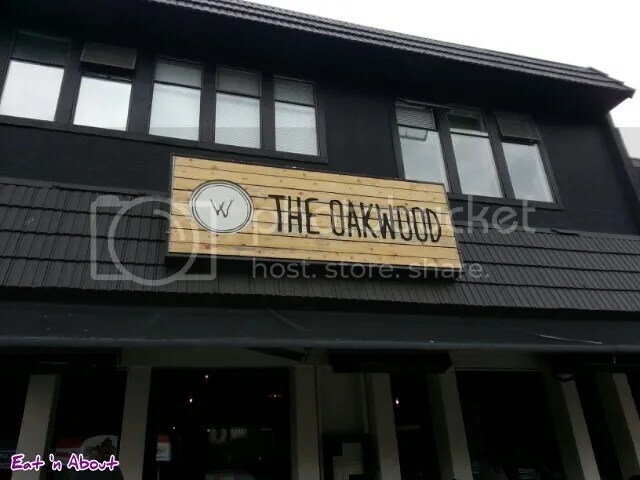 Cat got to pick the restaurant and she chose The Oakwood Canadian Bistro in Kitsilano. They don’t take reservations so be prepared to wait. For the 5 of us we waited 35 minutes at noon. 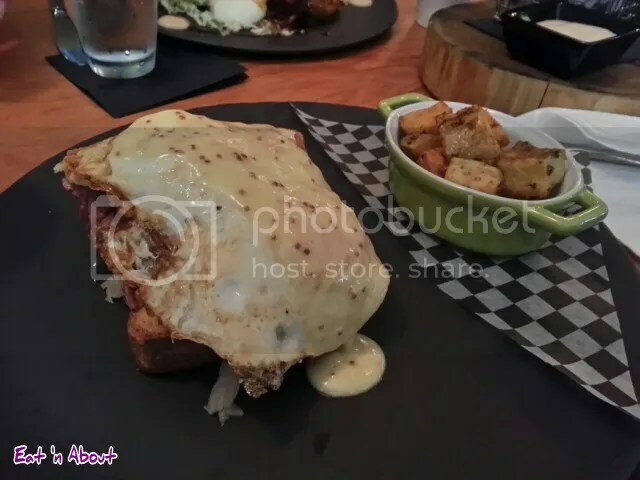 I picked the Open-faced Corned Beef sandwich, overeasy eggs, sauerkraut, dijon and home fries ($14). First the good: it was LOADED with meat. I mean, there was so much corned beef slices on there I could’ve easily made another sandwich. It was pretty tasty and not overly salty as it could easily have been. The bad: the bread was really dry. And thick. It was not very tasty to eat overall. The eggs could’ve been runnier too…it was too well done for my liking. The good again: The bread softened overnight (I packed it) and when I had it for lunch the next day it tasted much much better. I ordered a side of Brioche muffins with maple butter ($5). They were served fresh and warm and fluffy. 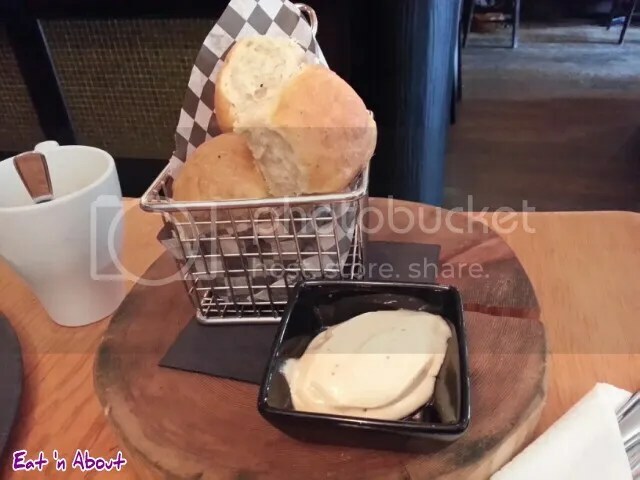 A bit savory, and the maple butter wasn’t overly sweet. I was full from this so I had my sandwich packed to go. My parents are on vacation for 2 weeks so I’ll have to fend for myself in the meals department for the time being. Not wanting to rely on takeout and instant noodles for 2 weeks, I started to make some simple meals and here’s to chronicling those attempts! And thus..the first post of my “Attempts at Cooking” series! I didn’t have actual food in my fridge one morning so I just took whatever I had and made a smoothie. Simple. I was originally just going to make a banana smoothie, but I also realized I had some ground flax seed and some yogurt, so I added those too. I got this from Shoppers Drug Mart and it was on sale. It was pretty good. If you haven’t tried flax seed before it’s got a nice wheaty aroma to it. This particular one was especially suited for smoothies because it’s mixed with blueberries. Also, the high amount of omega-3 fatty acids in flax seed are best absorbed if the seeds are grounded. This comes grounded so it’s convenient! By the way I add this to my yogurt every morning at work. Wow it’s been a while since the last post it seems! Boyfriend and I had just gotten an Xbox 360 and we’ve been playing Lego Batman, Lego Star Wars, Lego anything and there just didn’t seem like there’s time to blog! But we’ve still been eating out and taking pictures though so don’t you worry! So I’m just gonna continue with the US theme. It was the second time in two weeks that I travelled down to the States, this time with my Mom. We stayed overnight at my aunt’s house, and she took us out for breakfast the next day. My cousin has been wanting to take us to The Original Pancake House ever since the first time Boyfriend and I went down. My aunt and cousin had been raving about this place. Finally this time, we were able to go, albeit missing Boyfriend. It was a relatively short drive from Mill Creek to Kirkland. 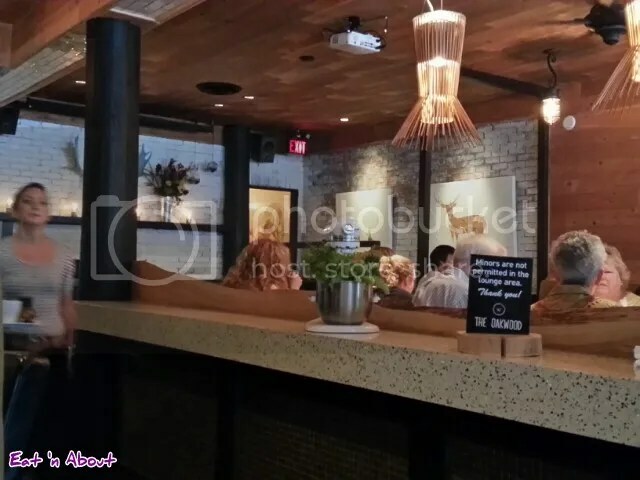 It is a quaint place, not much decor but it’s comfortable, very homestyle. As you can see it wasn’t that packed, since it was a weekday morning when we went. So in all we ordered 3 items- 2 of their specialty items, plus an interesting omelette. The items arrived all at the same time. The first thing we tasted was the crater-looking thing above called the Dutch Baby, which was one of their specialties. It was served with more icing sugar, whipped butter and lemon on the side.